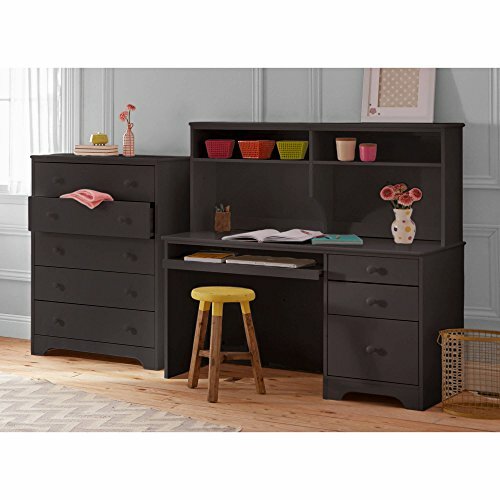 The Better Homes and Gardens Pine Creek Desk is a stylish, yet practical addition to any bedroom, office or den in your home. With classic pine styling and solid wood construction, the Pine Creek Desk features multiple storage drawers and a refined finish. Available in a durable white or espresso non-toxic finish, the Pine Creek Desk will provide your home with the perfect space for boosting productivity in style. Pair the Pine Creek Desk with the Pine Creek Hutch for the ultimate versatility and storage. Desk and task chairs sold separately.